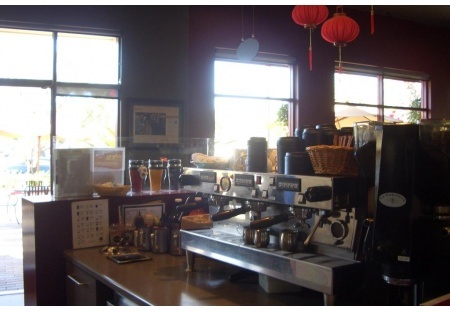 Selling Restaurants presents a Great location in large affluent O.C. city. This city and business center is highly desirable. Owners have built and maintained this coffee house. Huge amounts of traffic come to the center during lunch and weekend hours. Plenty of parking, seating, and beautiful scenery at the business center. The coffee house has a loyal following of business men and women, mothers and students. This is a great business for first time buyers or experienced owners looking for a relatively simple concept to run. Labor costs are one of your greatest operating costs here so a full-time owner who knows how to effectively manage and market the coffee house will be efficient and able to cut costs resulting in greater cash flow. The real potential here is in increasing the per ticket average which falls below the Corporate Average. By simply pushing "up-selling" may result in thousands of dollars in increased revenue. The great news is that this store's Gross Sales and total daily tickets exceed the Corporate averages which provides you with a solid foundation to build upon. The furniture, fixtures, and equipment alone are well maintained and in great working condition. The seller will carry back a note for a qualified buyer. Take the next step and go to sellingrestaurants and select one of the bright orange buttons below the listing. Then select the "New registration" Button. When you register, you get the name and address right on-line - no paper or faxes - you'll also get priority notification of our new listings in the future, prior to the general public, giving you the best chance to �scoop in� the best opportunities. There are also more photos available to our registered buyers.